Even though we use these machines more than twice every day and make them grind and dispose of food waste, garbage disposals can be considered one of the powerful appliances in our kitchen. They are like decorated soldiers the kitchen. Unfortunately, they also have a lifespan and may stop working when least expected, but you’ll be glad to know that their lifespan is considerably long. A good quality garbage disposal can last between 8 – 15 years if you take care of it properly. Even though the durability will depend on various factors, you can expect to get a reasonable number of years before replacing it. 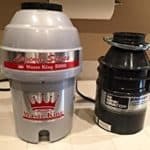 In terms of manufacturers, InSinkErator and Waste King Legend produce outstanding garbage disposals and they even provide the longest cover periods in warranty than any other disposal specialist. These brands are so reliable and trustworthy that you can expect to use their disposal units for 10 – 15 years before replacing it. 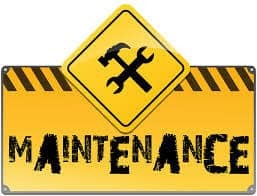 Should some minor incidents occur only small maintenance and repairs can be expected. There are a number of proven methods to effectively extend the lifespan of your garbage disposal. It may sound insignificant but keeping your garbage disposal smelling fresh is one of the most important ways on how to extend the lifespan of your beloved disposal. Did you know that foul odor in your disposal builds up bacteria that can create an acidic environment inside the chamber causing the disposal to rust and ultimate failure? Regular cleaning is very important. Use the disposer properly. Even though the name might state garbage disposal it doesn’t mean that you can throw anything down its throat. Waste disposal units are only meant for biodegradable food. Food waste that you should never put in the unit is bones, plastic or silverware like crockery. To save it is important to note if your garbage disposal has a magnetic ring to attract silverware that might fall into the unit. Grease and oil – this could affect drain pipes and cause blockage in the long run then ultimately replace unnecessary pipe lines. When to Replace Your Garbage Disposal? Maintaining your disposal isn’t as hard as it might sound. When you plan to remove the unit it is of utmost importance that you switch off the electricity supply for safety purpose. Installing or removing the waste unit is s simple process. Manufacturers like InSinkErator and Waste King Legend manufactures their modern day units with a Quick Lock Mounting System for easy installation. Of course, if you need a professional plumber to do a proper job Amazon offers In-Home Services so you can what you do best. So How Long Do Garbage Disposals Last? Unfortunately, there’s no definite answer. 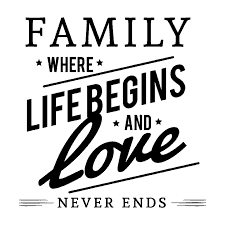 It all depends on various factors described above. What Should I NOT Put In Recycling Bins?